Hulu, Netflix Battling Over ‘Arrested Development’? Say what you want about the increase in popularity of streaming video content (if you’re a naysayer and hate the newfangled equipment, or the quality, or the selection), there are some places where the advent of the services brings the possibility of things we’d only dared dream of previously. Like Arrested Development coming back. News hit earlier this week that the cult-favorite, long lamented sitcom was headed back both to the small screen and theaters, but it hasn’t been the first time fans have been promised a redux only to be let down dramatically. The difference now is that instead of being reliant on networks and their caprice, streaming services like Netflix and Hulu can revive Arrested Development- and they’re aiming to do just that, if rumors are correct. It’s said that the two streaming biggies are in a “bidding war” to secure the rights to the show. 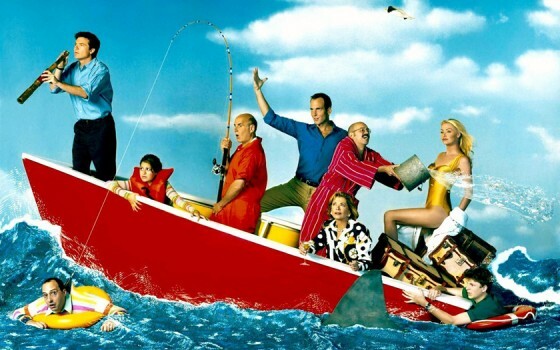 If you’re a fan (or into pop culture) you know that after its initial run with tepid success, Arrested Development became hugely popular via DVD sales and eventually through new streaming subscribers working their way through the back catalog of episodes. While (as is par for the course with Arrested Development) there is no confirmation one way or the other about the show’s fate, such a commitment could stand to massively raise the profile of the services and serve as a major coup for either should they win the rights. Does it seem likely that this time, Arrested Development is headed back, or is it another false start? Would access to new episodes entice you to select one of the services over another?